The UN’s political chief on Sunday condemned anti-Muslim violence that has targeted mosques and businesses in Sri Lanka as he wrapped up a three-day visit to Sri Lanka. Under-Secretary-General for Political Affairs Jeffrey Feltman urged the government to bring the perpetrators of the violence and hate speech to justice. Feltman, who met with Muslim leaders to show solidarity during his visit, “condemned the breakdown in law and order and the attacks against Muslims and their property,” a UN statement said. Sri Lanka has been rocked by a week of violent riots by Sinhalese mobs who have attacked 11 mosques and at least 200 Muslim-owned businesses, prompting the government to declare a state of emergency. Sri Lankan police have been accused of failing to protect the island’s minority. 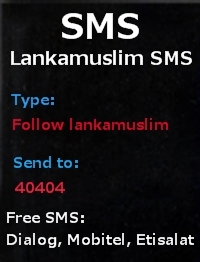 Muslims make up 10 percent of Sri Lanka’s 21 million people. The majority are Sinhalese, a largely Buddhist ethnic group. Feltman met with Sirisena, the prime minister, civil society and human rights representatives during the three-day visit that was scheduled before the outbreak of violence. The envoy expressed hope that an office of missing persons will be set up soon to determine the fate of those unaccounted for from the brutal 25-year war against Tamil Tiger rebels.